Do you love duck? 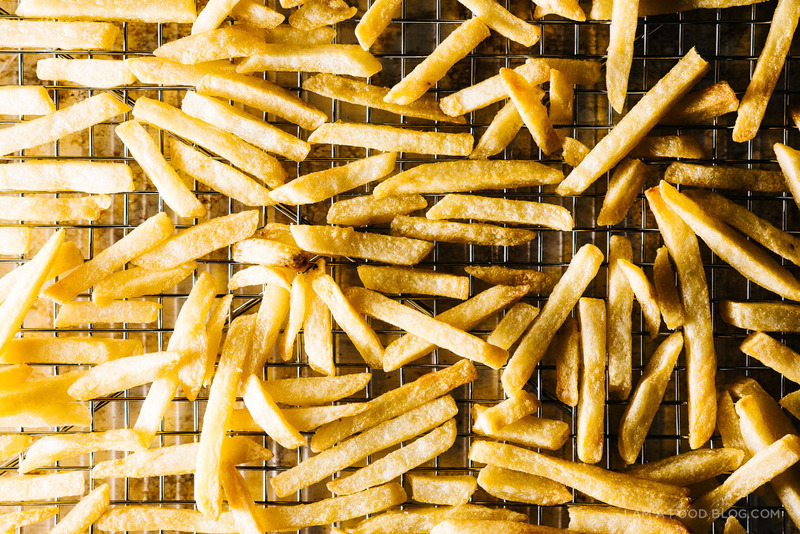 How about french fries? 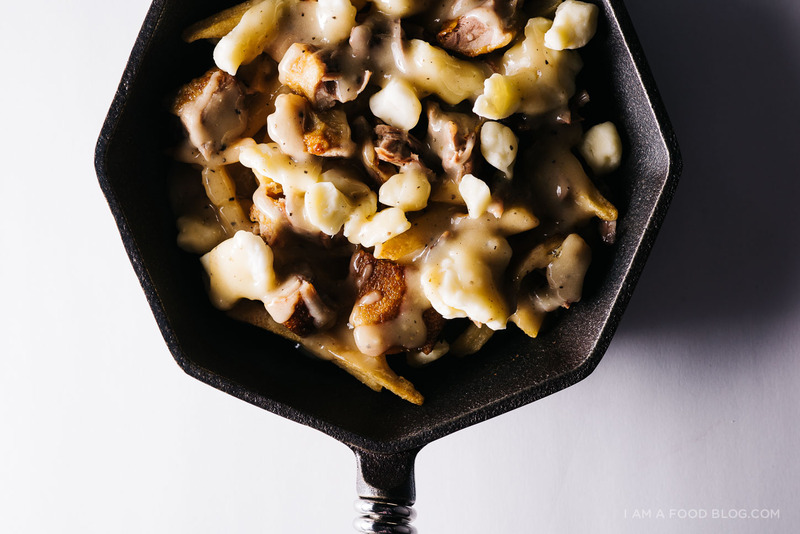 How about duck and french fries and cheese curds and gravy!? If you said a resounding yes, we can be friends! 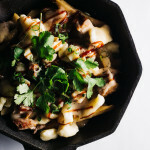 If you’re thinking, meh, doesn’t sound that great, have a bite of this peking duck poutine and you’ll change your tune. I absolutely love peking duck, especially the skin and pancake course. The crispy, glossy, deep mahogany brown of the skin, the thin flat floury pancakes, the sweet hoisin sauce and the crunch of the scallions all come together to make a totally perfect bite. Peking duck is kind of a pain though – you usually have to order it before hand and it’s kind of all pomp and circumstance, what will all the table side carving and all. 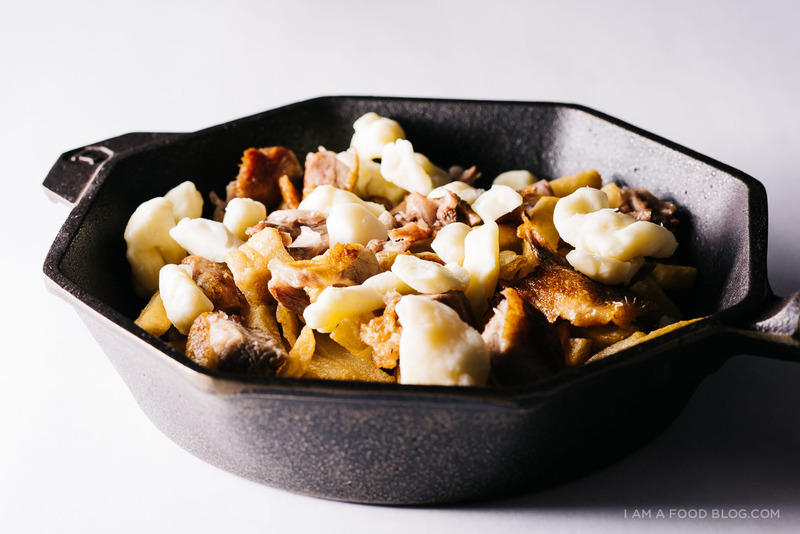 I like hanging out in sweat pants (the stretchy waist band makes it extra easy for me to indulge), so sometimes, when I’m craving peking duck I do a little poutine action at home. You could go ahead and roast up some duck legs, but if you have a major peking duck poutine craving and you need it immediately, you can go ahead and buy your duck at a Chinese bbq place. You could even (gasp!) stop at a fast food joint and buy some fries. Then all you have to do is shred the duck, make up a quick gravy, top the fries with squeaky cheese curds, green onions and sriracha. It’s (almost) instant peking duck gratification. Maybe even drizzle on some hoisin sauce for that extra authentic (ha!) taste. 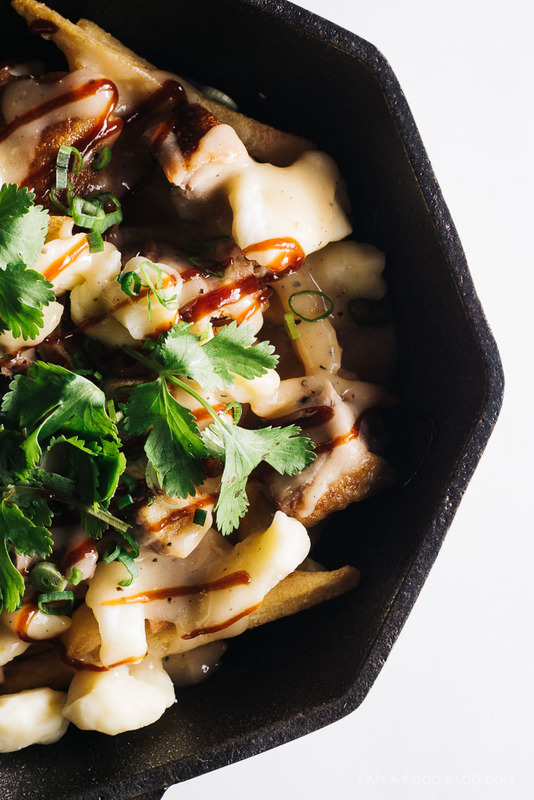 Trust me, this peking duck poutine is a good thing. If you want the recipe, head on over to Em’s site, the ever hunger inducing, The Pig and Quill. She just had a baby (Lana James, most awesome baby name ever!) and asked me if I could do up a guest post for her. Of course I thought of something decadent and easy. Em, congrats and I hope you’re taking it easy by eating loads of good food and getting in all the snuggles! This takes me right back to my trip to Vancouver a few years back – that was the first time I tried poutine. I wasn’t lucky enough to try peking duck poutine!! AMAZING! The best Chinese-Canadian culinary creation that I have seen in a while. This looks sinfully good. Being from Montreal, I know all about poutine. Your creation looks delectable. Will try it soon. I am so obsessed with the poutine-in-america trend right now. I love your version that includes duck- takes it over the top! :) Pinning! Wow! That is two things I would have never though of putting together but that photo looks amazing! WHOA! This recipe stopped me in my tracks! Delicious!!! Wow! this is making my mouth water! 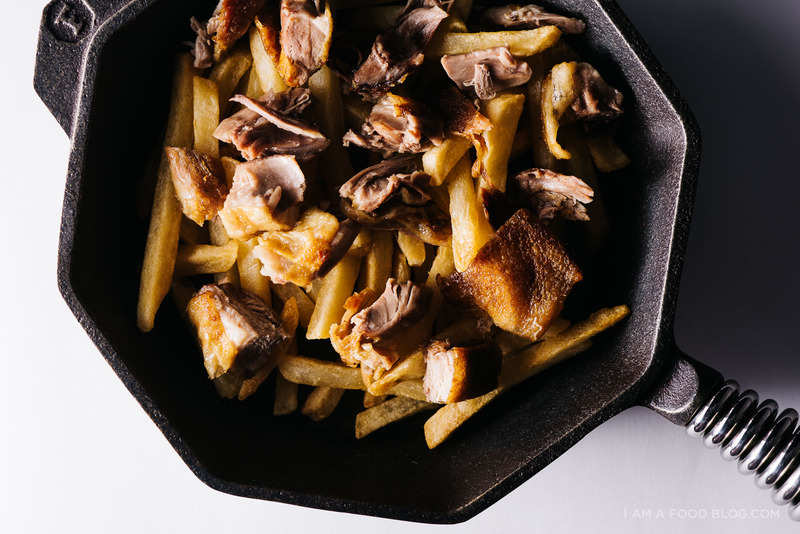 If you want to just go way over the top you could fry the fries in duck fat! Duck fat fries alone are nearly the best thing in the world! I’m going to have to try this dish it looks freaking amazing! OMFG. 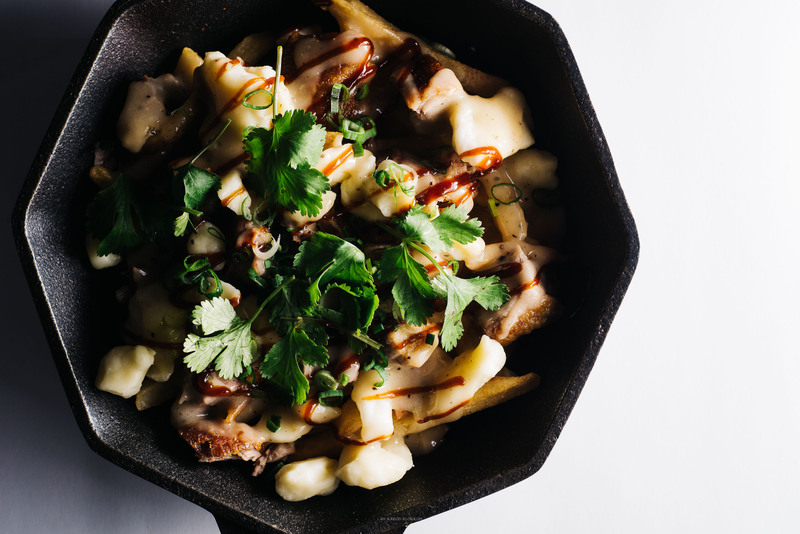 I’ve been in love with Peking Duck since I was like five and I just discovered Poutine about a year ago here in PDX and fell in love with it too. And I feel like the next natural step in this progressive food love affair fest is to have it all combined into one dish just like you’ve done right here. So much yes to this!